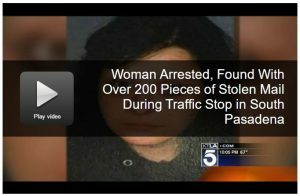 A Highland Park woman was arrested in connection with mail theft on Saturday morning after South Pasadena police found more than 200 pieces of stolen U.S. mail in her rented BMW. Marisa Rae Delgado, 27, was pulled over around 2:30 a.m. for driving over 80 mph on the 110 freeway. During the traffic stop, officers ran her information and discovered Delgado had an outstanding felony warrant for grand theft auto. A search of the vehicle uncovered more than 200 pieces of U.S. mail not addressed to Delgado, according to police. 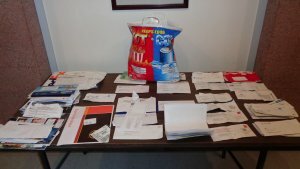 Officers also discovered dozens of blank credit cards, a credit card embossing machine, multiple mailbox keys for multi-unit housing complexes, several stolen driver’s licenses and other tools often used to commit theft, police stated in a press release.